The rooms of the Empress’ children cannot be visited during our walk in the imperial suites in Hofburg since they were located very far from her rooms. 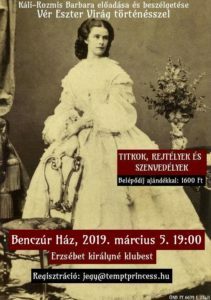 The first three children were departed from her (Elisabeth’s first daughter, Sophie died of dysentery in Buda) by her anti-Hungarian mother-in-law. However, it must be noted that Sisi was very happy about her child after her birth! She did not feel lonely, instead, she was overjoyed. She became terribly desperate after Sophie took away her (and later the other ones too). She had the same kind of feelings as it appears on the screen in the film Sissi. What is more, it was even worse. She cried a lot. The film shows very well how much Elisabeth loved her child. Not only on the screen but also in the reality she was overjoyed and did not feel herself lonely after having a baby – until Sophie took her grandchild away… In the film, Sissi climbs the stairs to meet her child at her mother-in-law’s suite. The young Empress had to go for a “longer” walk and climb stairs whenever she wanted to see her own children. However, she could not drop in at any time. Her visits were strictly regulated. When she was away for months due to her travels, it also happened that her children did not recognise her, their own mother… Archduchess Sophie decided about everything in connection with them that time. 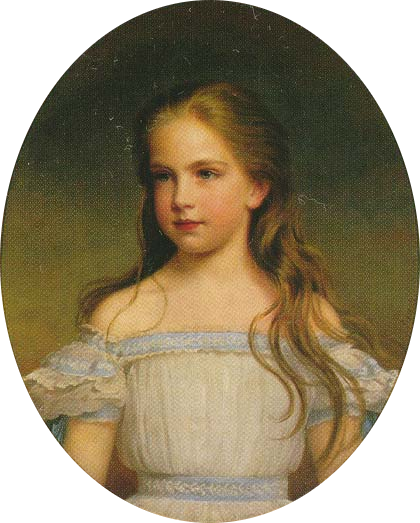 Princess Gisela was an obedient and religious child, later an adult just as Sophie wanted. 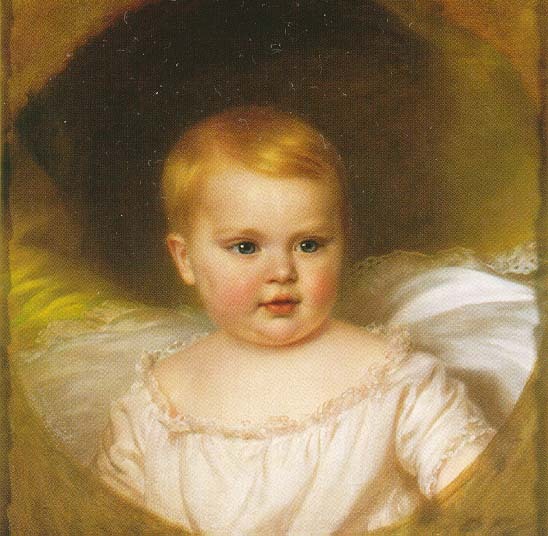 Unfortunately, the children did not manage to develop a close connection with their mother than or later since, as mentioned above, they were taken away from Sisi by Archduchess Sophie. The Crown Prince, Rudolf suffered from it the most. 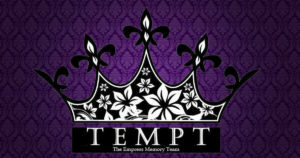 But the issue of the imperial children is another story and will be discussed later. Considering all these facts it is no longer a wonder that Elisabeth never was able to develop close contact to Gisela and Rudolf. She had to cool her mother feelings towards the little ones who were taken away from her. Her fourth child, Marie Valerie was kept away by her. That time she was strong enough to not let anybody interfere into the matter of her last child, whom she called “the only one”. The fact that Elisabeth loved Valerie the most hurt Prince Rudolf, who loved and admired his mom (besides, his personality was very similar to her mother’s one) so that was why he was very jealous of his little sister, which is quite understandable. The Emperor tried to do everything to make his beloved Sisi happy. As a fiancée, Elisabeth was scared of her future new life, the representations and duties it involved. She did not like being highlighted and did not value the far too much expensive pieces of jewellery from Vienna, however, she was mad about the parrot sent by Franz. Ludovica was worried: How would Sisi bear the representation duties? Would she be able to meet the requirements? After their wedding (and during her lifetime), the Emperor also wanted to please and make Sisi happy by smaller and bigger gifts, besides, which Elisabeth valued more, he took her into the Burgtheater through hidden corridors so as Sisi could avoid getting in touch with anybody. 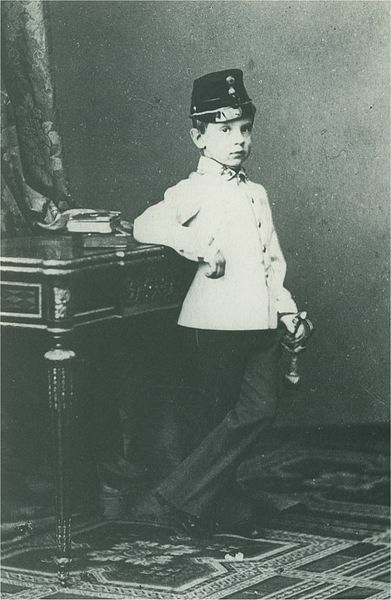 However, this - as many other kind gestures of the Emperor - was opposed and forbidden by his mother, Archduchess Sophie. Sophie educated and raised Franz to be a ruler, and she also wanted to create a perfect empress from the young and inexperienced Elisabeth. She wanted to form a beautiful and representative puppet from her niece. Anyway, in Vienna and in Austria, Sophie ruled as a “secret empress”. She might have believed what she tried to do was good. According to her diary, she liked her niece, which was later (also) told and acknowledged by Elisabeth, however, the methods she used were unacceptable. The orders of Archduchess Sophie made Sisi hate her mother-in-law and the court aristocracy in a very short time. Only in a few weeks after arriving in the imperial city, she started to suffer from psychosomatic symptoms. She cried a lot and had various health problems, such as coughing. In a few years, her health condition had worsened seriously so her surroundings started to worry about the young Empress’ health. Elisabeth’s relationship towards Sophie’s court (it was never Sisi’s one) went wrong in the very beginning (Sophie even spied!). As she felt herself more powerful several years later, she tried to stay in Vienna only as much as it was necessary. IN HUNGARIAN: SISI MINT ANYA ÉS FELESÉG A HOFBURGBAN and A SZOBA, AMELYET ERZSÉBET IGYEKEZETT ELKERÜLNI - Milyen anya volt Sisi?